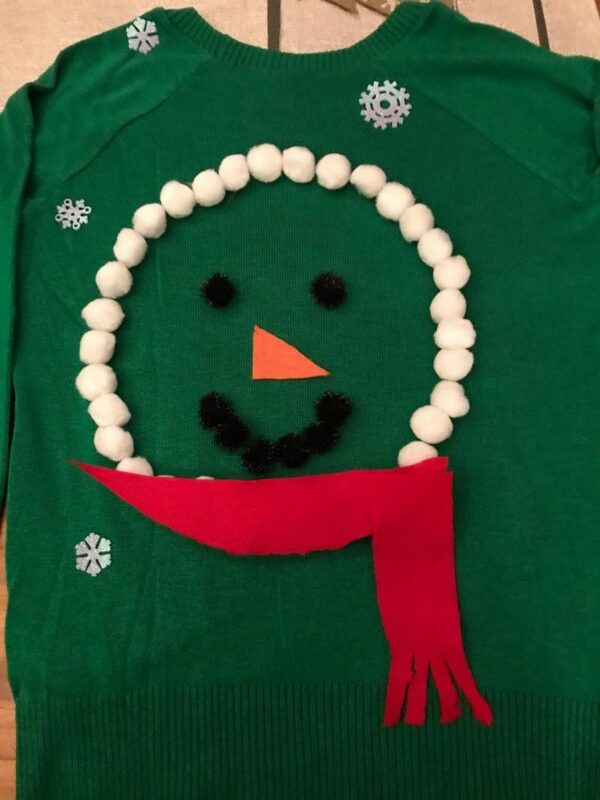 Make this charming DIY ugly sweater to celebrate the season. 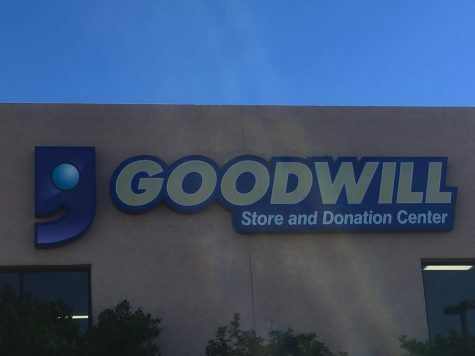 Ugly Christmas sweaters can be expensive or difficult to find at a thrift store, and the chances are you won’t be wearing them all the time. 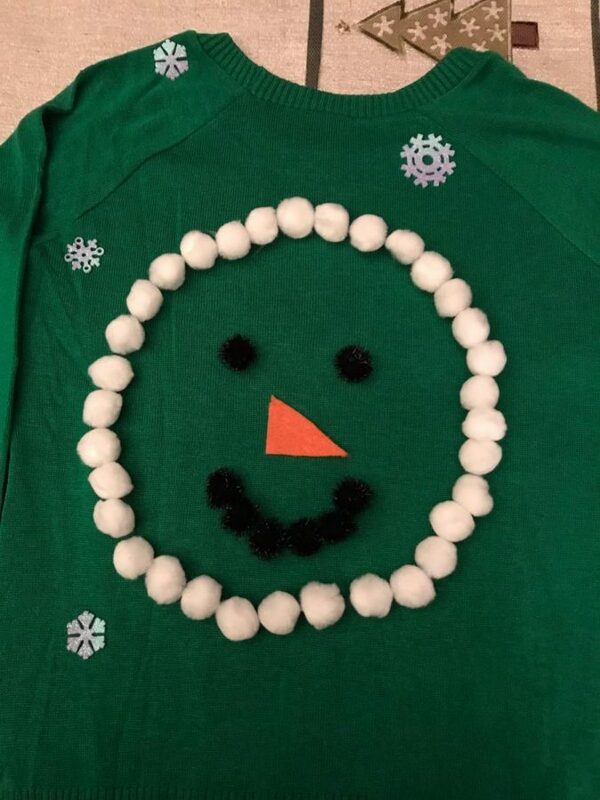 So, why not have fun making an inexpensive ugly Christmas sweater yourself? 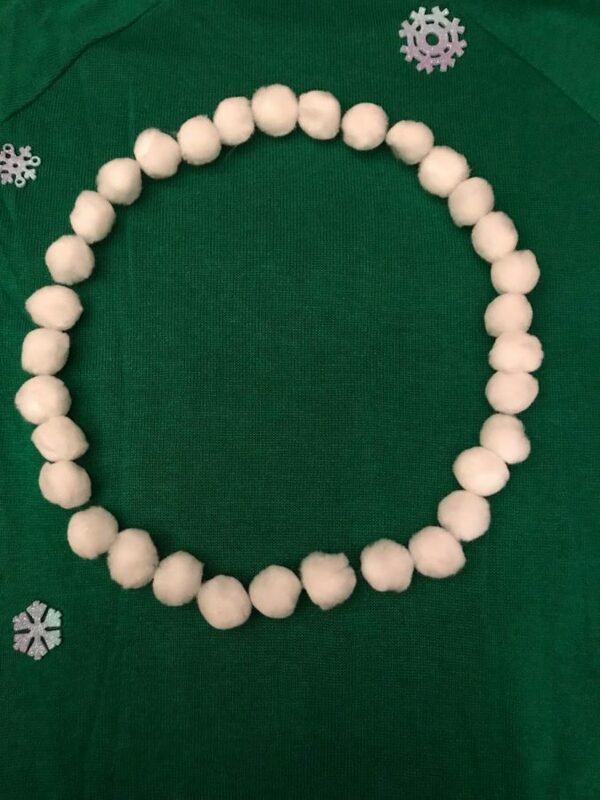 Glue the white puff balls in a circle and stick on the snowflakes. Add the black puff balls on with more glue to make eyes and a smile. Then, add the orange carrot nose made out of orange felt. Take the red felt and cut out a scarf shape, then add it to the bottom of the snowman’s head. Then add strips of white felt on top of the scarf. You can also add the wreaths or ribbons to the sleeves. 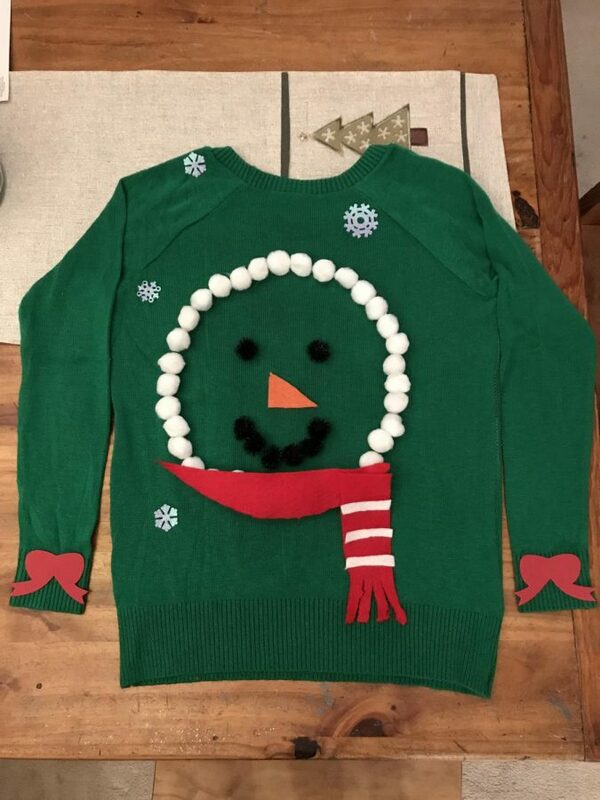 To make a cheap DIY ugly sweater, you don’t need to spend a lot of money. Since you won’t be wearing them all the time and they aren’t your go-to to keep you cozy and warm, it’s just right to make a DIY. 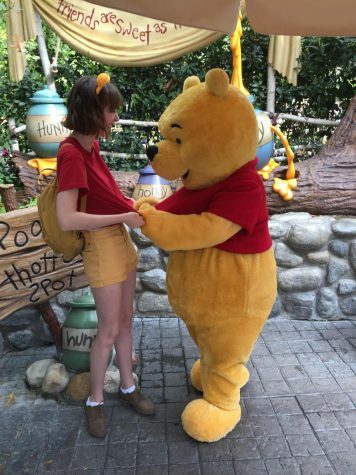 You will have fun making a sweater you can call your own.